This month, March 2015, begins the official launch of our new Jeep Storage Bags. All of the bags, Roll Bar, Side, Trunk, and 4×4 Duffle Bag are in stock. We are excited to help Jeep Wrangler owner’s add more storage capacity to their vehicles. Our company thinks the world of SEMA, the automotive aftermarket industry’s trade association. SEMA actually stands for Specialty Equipment Market Association. Our company has benefited tremendously from being part of the association. The annual SEMA show in Las Vegas has been instrumental to our company’s rapid growth and brand development. 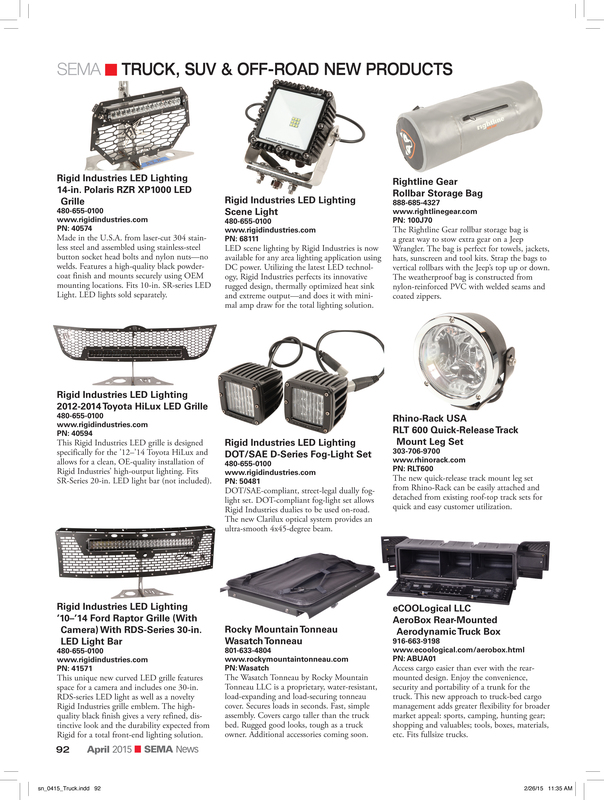 Thank You SEMA for spotlighting one of our new products!